Belva Offenberg was born and raised in New York City in a Jewish-American family. She graduated from Barnard College in 1939 with a degree in history. 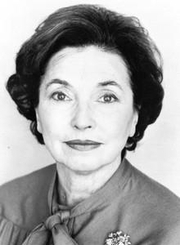 In 1941, she married Irving Plain, an ophthalmologist, and had three children. While raising her children, Belva Plain started to write short stories and sold the first one to Cosmopolitan at age 25. She became a prolific writer of stories and articles for women's magazines such as Redbook and Good Housekeeping. She was already a grandmother when her first novel, Evergreen, was published in 1978. It topped the New York Times best-seller list for 41 weeks and was adapted into an NBC-TV miniseries. She went on to write about 20 more bestselling novels. Although her writing did not always please literary critics, the books were highly popular with readers. In her work, Belva Plain was particularly interested in countering clichés about Jewish families. Belva Plain is currently considered a "single author." If one or more works are by a distinct, homonymous authors, go ahead and split the author. Belva Plain is composed of 3 names. You can examine and separate out names.